The other night, we were watching the Food Network Challenge, and all the chefs were preparing their signature mac and cheese dishes. Well, after about a half an hour, Sabrina looked at me and said, "Tomorrow, we are having mac and cheese for dinner!" All that cheesy goodness was just too much to handle. I think she just likes using the mini-chopper!! 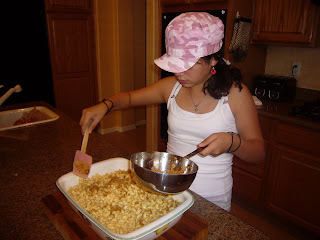 Sabrina here: It's the best mac and cheese ever! 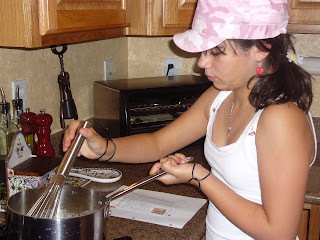 Cook pasta in a large pot of boiling salted water 4 to 5 minutes less than package instructions. Drain, rinse with cool water, and return to pot. Meanwhile, heat 4 tablespoons butter in a medium saucepan over medium-high heat. 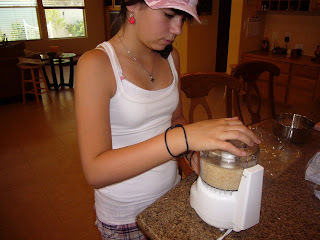 Add flour; cook, whisking, 1 minute. Add milk; bring to a simmer. 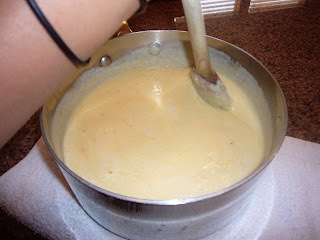 Cook, whisking, until mixture is thick enough to coat the back of a spoon, 2 to 3 minutes. Whisk in cheeses until smooth. Pour over pasta; toss to coat. Pour into greased baking dish. 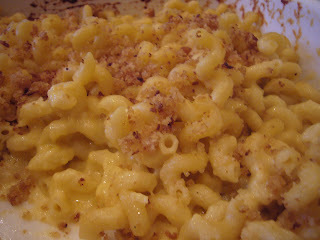 Melt remaining 2 tablespoons butter; toss with breadcrumbs, and season with pepper. Sprinkle over pasta. Preheat oven to 375 degrees. Bake until bubbling, 25-35 minutes.